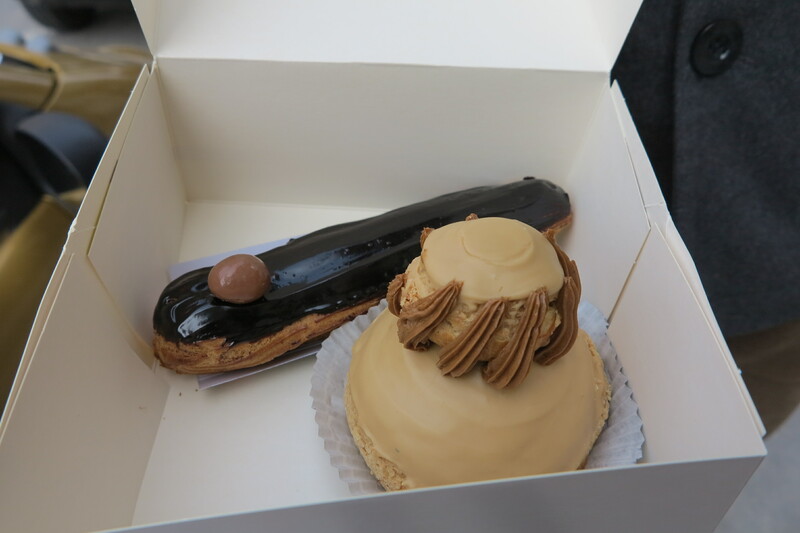 Oh how I love the pastry shops in France. The windows are loaded up with temping goodies and I often find myself, nose pressed up against the glass, leaving drool marks as I consider my options. Okay, maybe that’s just my overactive imagination. But any dreams I may have had about being one of those home cooks who can whip up fancy french pastry in my own oven came crashing down this week. You can read the details on the FFwD P&Q page. Basically, I had the wrong size pastry tip and/or made too many rings and, as Mardi pointed out, this caused the dough not to rise up in the oven. In fact, not only did it not rise, but it then deflated even further once I removed it to the oven. There was no way I was going to be able to cut that thing in half. Again, sigh. 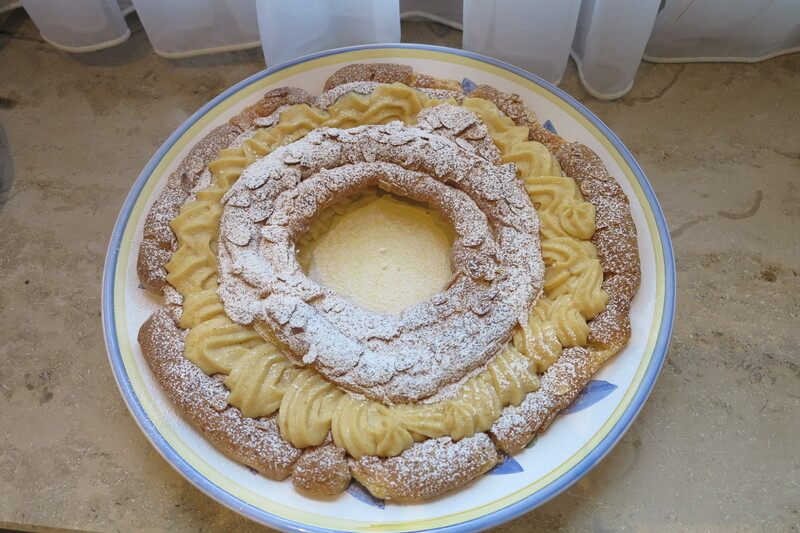 After much deliberation I went at the thing at a bit of an angle and did the best I could to assemble it into something resembling a Paris Brest. I’ve decided to steal Mardi’s word “rustic” this week and go with it. As for taste, it was good. Very good. I didn’t love the texture of the custard after adding the candied almonds. But my tasters LOVED it and were very impressed by my fancy skills. Little did they know. At the end of the day, I consider the week a victory. I tacked a challenging dish and it was a “rustic” success. But I think that I’ll be just as happy to leave such recipes to the experts in the future. It looks fab to me! Enjoy your holiday. Yeah for rustic 🙂 I think it looks lovely and would gladly share a slice with you! 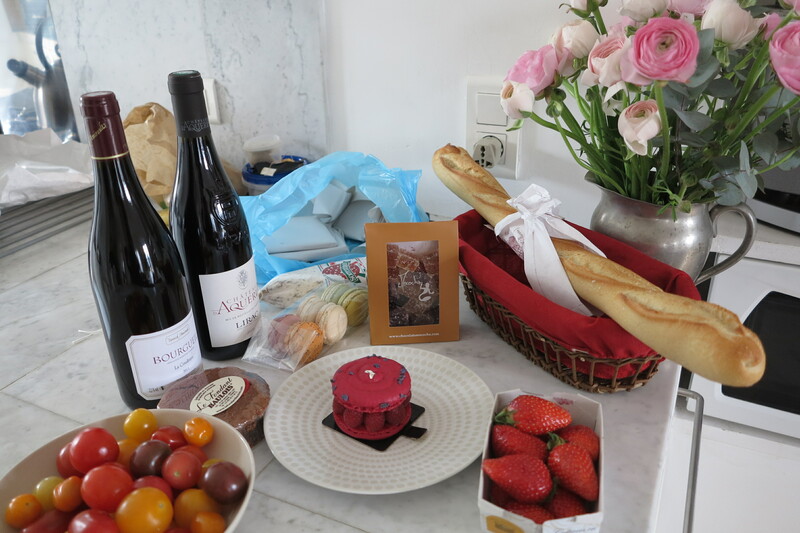 I think it looks great – and I am probably very glad that Paris is not as close as a train ride away. Those pastries look downright dangerous. Look at it lady! THAT, is a victory for sure. A dusting with confectioners sugar is very democratic. Truthfully I have never liked those ‘perfect’ pastry looks anyway. and you want it all. Enjoy your ski trip. It doesn’t look all the rustic to me. Looks delicious. 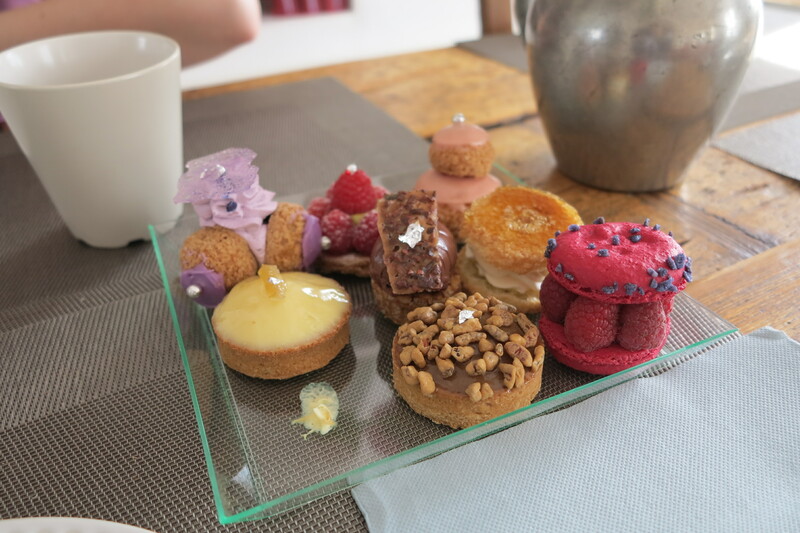 So do all your patisserie photos. I’m hungry. Have fun on the ski slopes! Nicely done… I didn’t even have to attempt the challenge. I let my 12 year old daughter make it. She already puts me to shame in the baking department. Have a great time skiing. My choux pastry always deflates after it comes out of the oven, which is one reason I was hesitant about making the actual Paris-Brest. 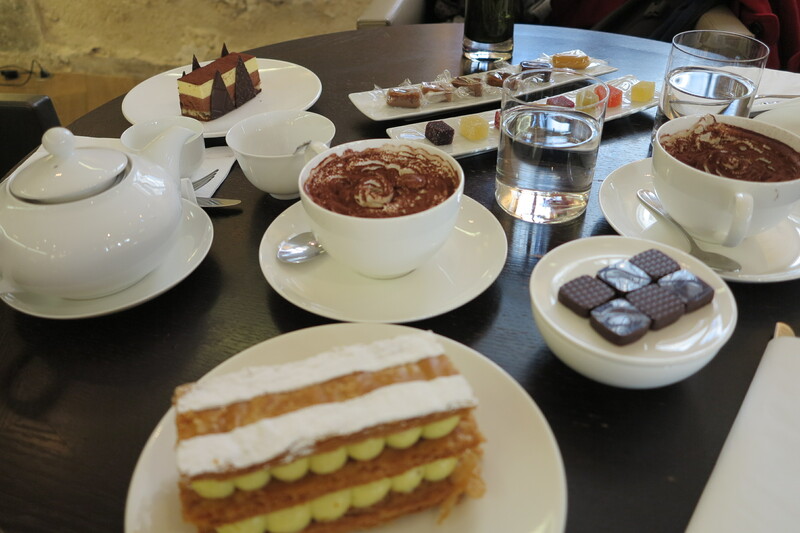 I think yours looks quite nice – just as nice as anything from the patisseries photos! So what about your Paris-Brest is not something anyone would want to jam into their mouth. It is filled with personality (yours), has all its parts (Dorie’s recipe) and your family loved it (Mom rocks). So, you win on all counts. Where did you go skiing? I hole you all had fun. Aspen just got between 3′ and 4′ of new snow in the past 4 days and the skiing is “epic” as my friends all tell me. I hope you had an “epic” week-end also. It looks marvellous to me! So what if it deflated a little…more space for cream that’s how I see it! Mine also deflated and I cut the top part very thin and filled it with this lovely praline cream and life was good again! Don’t fret about the French pastry chefs they are a very arrogant bunch 😉 enjoy your skiing!!! Yeah, Rose, Aspen just got 3′ to 4′ of new snow last week. My friends say that skiing is “epic”. However, altitude sickness is serious stuff and serious stuff trumps epic any day of the week. Sometimes altitude sickness is a one-shot occurrence and there are ways to help combat it (have I mentioned that I am a forest ranger and know these things?!?) so I hope you will return to Colorado at some point. But, good call on your part. Rosa, I experienced pretty much the same thing. I have a friend who is a pastry chef and she told me it has to do with the technique of piping the ring. The structure didn’t hold causing it to spread not rise. I will try it again but probably use a ring. Yours looks delicious and I suspect you are the only one who knew it wasn’t as planned! Even with rustic, yours still looks terrific. Its all about the cream filling and the sugar on top! I’d still eat way too much of it! Love all your photos and those pastries at the top! 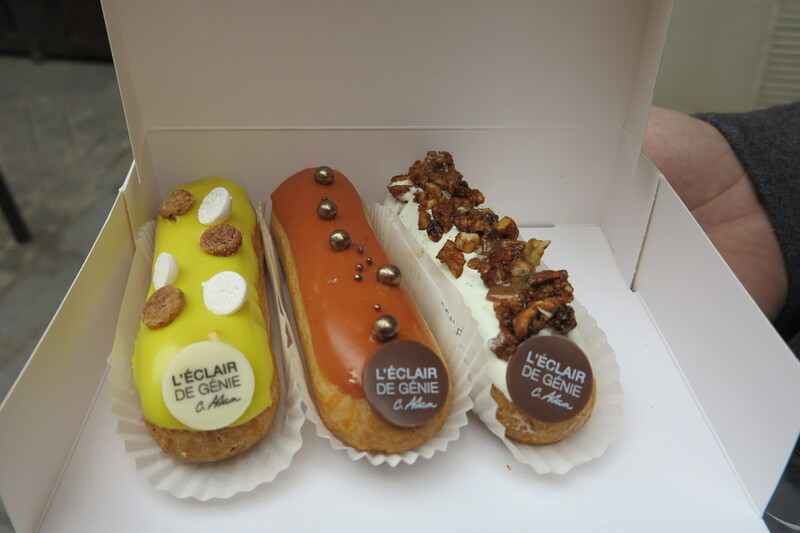 L’Eclair génie is a fun spot to stop into- some really interesting flavors! 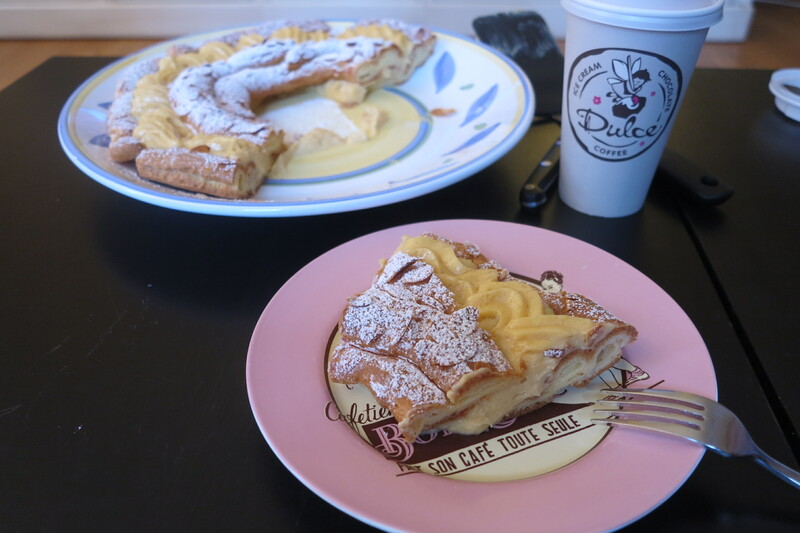 Rose, I think your Paris Brest looks beautiful…and if it tasted good…the challenge was met!! I feel I need to bake this again after seeing all those fancy pastries!! Have a great week! Looks great with the cream filling! Rose, it looks quite fabulous – and the taste testers always trump any criticisms we have of our own product. Frequently we are too critical of ourselves. Seriously, how many home cooks do you know that make Paris Brest? Kudos to you for making this delightful pastry and sharing with your friends and family! 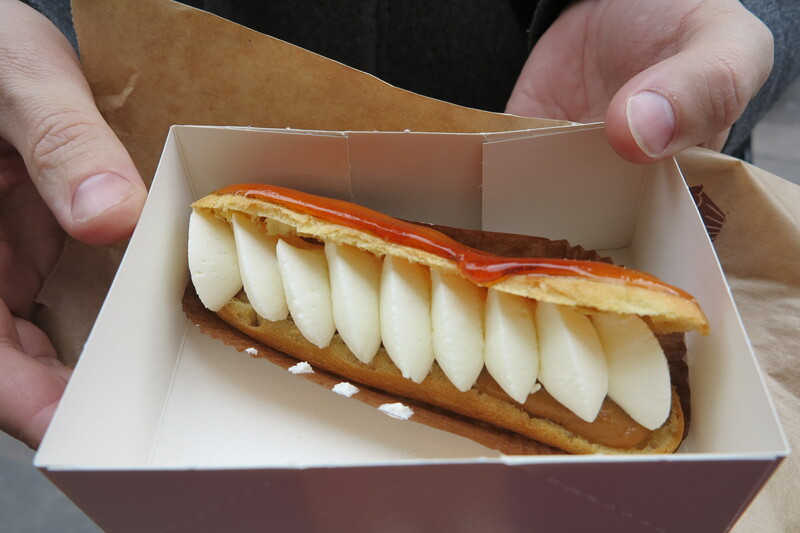 What gorgeous photos of French pastries! I just don’t have the patience (or skill) for that kind of detailed decoration, I’m happy to leave it to the experts. I’m glad your dessert tasted good. In my book that’s all that matters.